Bibulo.us - We plead the 21st. I didn't set out to make an annotated cocktail book bibliography. 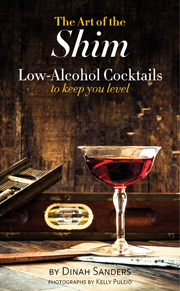 I was just, as one does, digging into 19th century cocktail books trying to determine the proportion of drinks of different strengths and if that changed over time. The problem with time-based research is that you have to be pretty sure that a given set of data actually comes from a particular time. And here my troubles began. Cocktail book authors and publishers of the 19th century weren't always particular about the accuracy of their book's publication information. There are lots of books without a publication date printed inside. Or with a date that isn't correct. Or without an author listed. Now and then there's even no publisher listed. It's enough to make you tear out your hair trying to pin this stuff down. Fortunately, the books themselves aren't the only source of information. Sometimes a book's definite existence in a given year can be verified by more reliable sources, such as Library of Congress Copyright records, or through sources with no biased interest in claiming a particular author was first on the scene, such as through contemporary reviews or advertising. Hell, I was even able to verify the timing of one source through the publication of a Temperance rant against it. Not being one to let a lot of good, hard library research go to waste, I've published my findings in the pages linked below and sweetened the deal by adding links to sources of the books (both free downloads and vendors) where available, plus some annotations. I hope this resource will be of help to others researching cocktail history and welcome corrections or additions, which can be sent to Dinah at this domain. Cheers! Where you can obtain some of the tools, ingredients and resources we mention. An annotated list of cocktails books significant for their early date, influence, or presence on lists of noteworthy works, with download or purchase links where available. Ingredients: Sazerac 6-year rye "Baby Saz"
People: Charles H. Baker Jr.
Bibulo.us is a participant in the Amazon Services LLC Associates Program, an affiliate advertising program designed to provide a means for sites to earn advertising fees by advertising and linking to Amazon.com. In other words, a good way for authors to make just a bit more per copy on their books or products they recommend. Sometimes people give us stuff to review. If we got something for free, we'll say so. But that won't affect the content of the review. If we say we like it, we actually like it. We sometimes get comped drinks at bars, too -- but so do you, probably, so we don't specifically call that out.